The aim of this page is to collect multilingual resources available online that is related to the aged care system. The resources can be downloaded by following the links provided. What they do The Aged Care Complaints Commissioner provides a free service for anyone to raise their concerns about the quality of care or services being delivered to people receiving aged care services subsidised by the Australian Government. What they do The Office of the Public Advocate (OPA) works to promote and protect the human rights of more than 65,000 Western Australian adults with decision-making disabilities. What they do In addition to their own nursing service, Parkinson’s WA provides education, resources and support for health professionals working in the Parkinson’s community. Parkinson’s WA produce several resources specifically for Health Professionals including manuals for nurses, GPs and physiotherapists plus a variety of free brochures. What they do This tool can assist people to understand how their budget works depending on their level of the package. It explains the different parts of the funding and how it relates to service delivery. What they do People may use this chart to compare aged care service providers and their prices. Generally, aged care providers should disclose all of this information to you. What they do Carers WA is a non-profit, community based organisation and registered charity dedicated to improving the lives of the estimated 320,000 family carers living in Western Australia. What they do Advance Care Planning Australia (ACPA) is a national program funded by the Australian Government Department of Health, enabling Australians to make the best choices for their life and health care. It provides information and resources to individuals, care workers and healthcare professionals to improve this cooperation. What they do Arthritis Australia provides support and information to people with arthritis as well as their families and friends, promotes awareness of the challenges facing people with arthritis across the community, and to leaders in business, industry, and government, funds research into potential causes and possible cures as well as better ways to live with arthritis, and aims to keep health professionals such as physiotherapists, occupational therapists, and community nurses informed. What they do The BreastScreen WA program provides free screening mammograms to asymptomatic women and specifically targets women aged 50 to 74 years, as the scientific evidence of benefit from screening mammography is greatest for women in this age group. However, all women 40 years or over are eligible to attend. What they do The Continence Foundation of Australia is the national peak body promoting bladder and bowel health. The Continence Foundation of Australia’s vision is to have a community free of the stigma of incontinence. We provide information on funding, referral and products. We also offer free resources for individuals, carers and professionals to help treat bladder and bowel control problems. 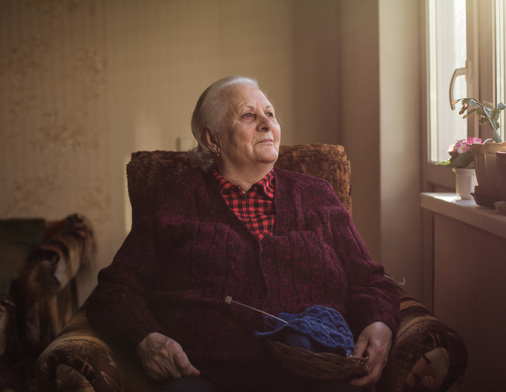 What they do The Dementia Australia website outlines steps you can take to find out more about dementia, including advice on observing warning signs and preparing a list of concerns to take to your doctor. What they do Diabetes WA informs, educates and supports thousands of Western Australians, helping them to better manage their diabetes. This in turn enables them to lead happier, healthier lives. What they do Elective surgery is a term used for non-emergency surgery which is medically necessary, but can be delayed for at least 24 hours. People who need emergency treatment will not be placed on the elective surgery list. Elective surgery is usually performed in an operating theatre or procedure room under some form of anaesthesia by a surgeon. What they do The National Bowel Cancer Screening Program (NBCSP) invites eligible people starting at age 50 and continuing to age 74 (without symptoms) to screen for bowel cancer using a free, simple test at home. What they do Parkinson’s Western Australia Inc. provides a Parkinson’s Nurse Specialist Service; Support Networks for people with Parkinson’s and their family carers; and educational resources and training. What they do Stay On Your Feet® provides information and resources for older adults, their friends and family and health professionals to prevent slips, trips and falls. What they do The Multi Dose Webster-pak is a sealed weekly calendar pack designed to help people take their medication correctly, according to their doctor’s orders. All regular medication that needs to be taken each week is sealed within the blister compartments. The Webster-pak is designed to be as simple as possible. What they do This Western Australian Public Patients’ Hospital Charter pamphlet (PDF 977KB) explains your rights and obligations as a public hospital patient and gives details about how you can provide feedback about your public hospital experience. WA Health encourages all patients in our healthcare system to be active partners in their own health care. Ask your hospital for a copy of the pamphlet. What they do Advocacy is a way of supporting people who may have difficulty safeguarding their own rights or representing and advancing their own interests. An advocate can act on behalf of a person who may not be able to ensure their own rights are protected. What they do The Communication Cards depict a wide range of daily activities and situations and can be used to prompt discussion, assist with directions, clarify a client’s needs, etc. What they do The Aged Care Signage will assist residents in aged care facilities navigate their way around their home or service. What they do The Calendar focuses on countries’ national days, significant multicultural festivals in Australia, and events that are widely celebrated by Australia’s major ethnic and religious communities. Please be advised the Calendar is not exhaustive of all events that are celebrated around the world and should be considered a guide only. Calendar users should seek further advice regarding particular events from the communities concerned.